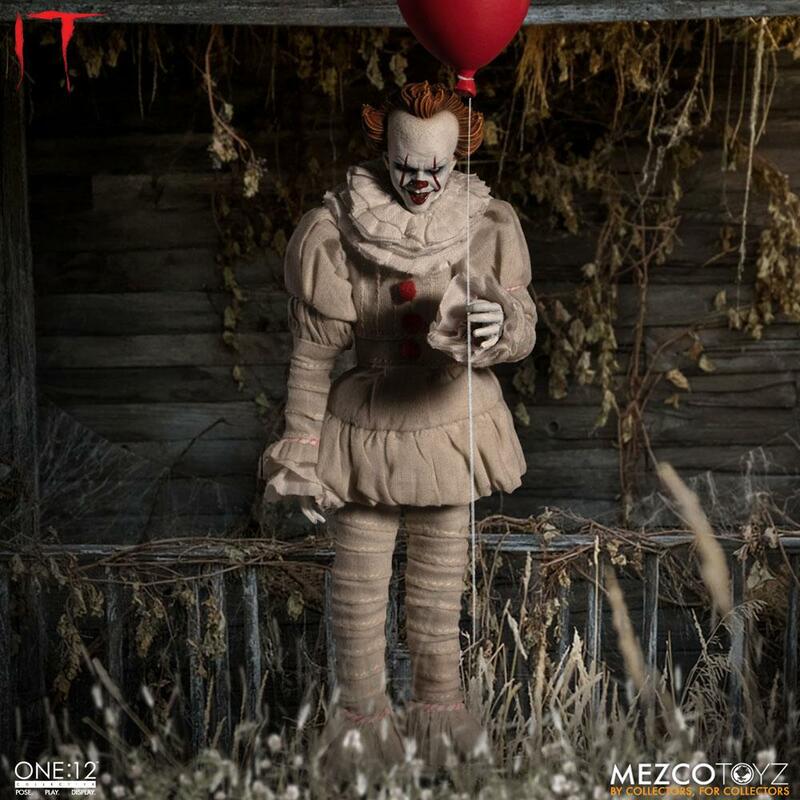 The One:12 Collective IT (2017): Pennywise figure captures the demonic clown as he appears in the 2017 film. The shape-shifter features four head portraits with expressions from the film. Pennywise comes outfitted in a clown costume with ruffle detailing around the collar. wrists. and ankles. He also comes complete with his infamous red balloon. Georgie's severed arm. Georgie's paper boat. and the framed painting of the eerie woman that hung in Stanley's father's office. Pennywise. based on the novel 'IT' by Stephen King. is the red balloon-toting. demonic clown who terrorizes the children of Derry. Maine. Every 27 years. Pennywise awakens to feed on fear. taking the form of what his prey dreads most. Each One:12 Collective IT (2017): Pennywise figure is packaged in a collector friendly box. designed with collectors in mind.